Wishing you and your families a very Merry Christmas and a Happy New Year! 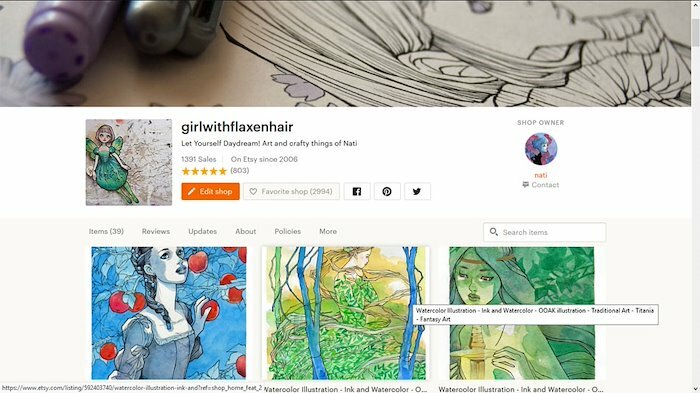 To celebrate the changes in the upcoming new year, I changed almost all the usernames used in my Social Media accounts, in order to create a strong personal brand under the ‘flaxenhairgirl’ name. Thank you and Happy New Year everybody! 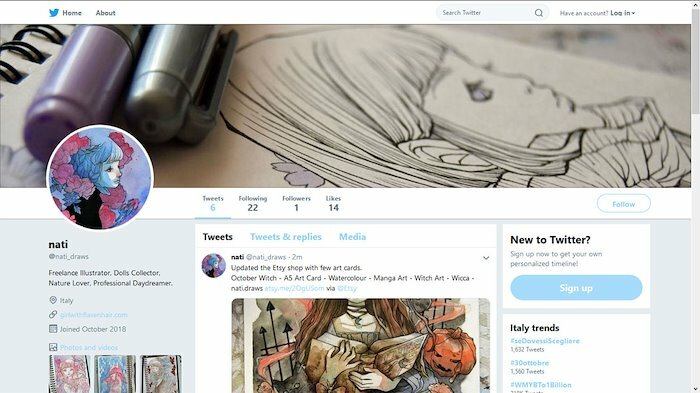 Created a (new) account on Twitter. If you would like to know when I update all my pages/galleries/etc feel free to follow me there! I’m sorry for the lack of updates, I’m posting this entry surrounded by boxes – in the middle of a moving right now! 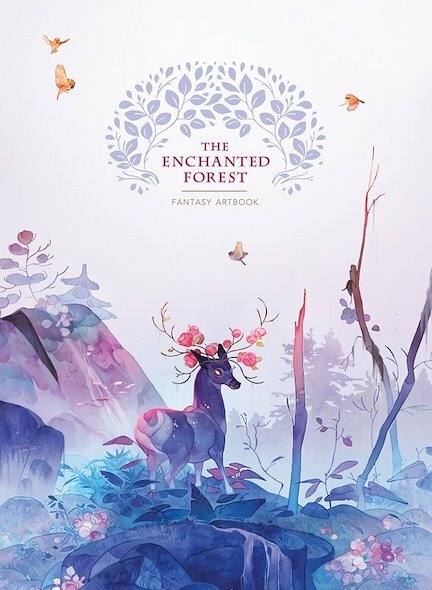 – but the wi-fi connection finally works in the new house and, far too late, I can promote the Enchanted Forest Artbook! This is one of my ‘not-so-secret’ projects of 2018! But, there are locked tiers to discover so please, share the project: all the artists involved worked so hard on the book content! 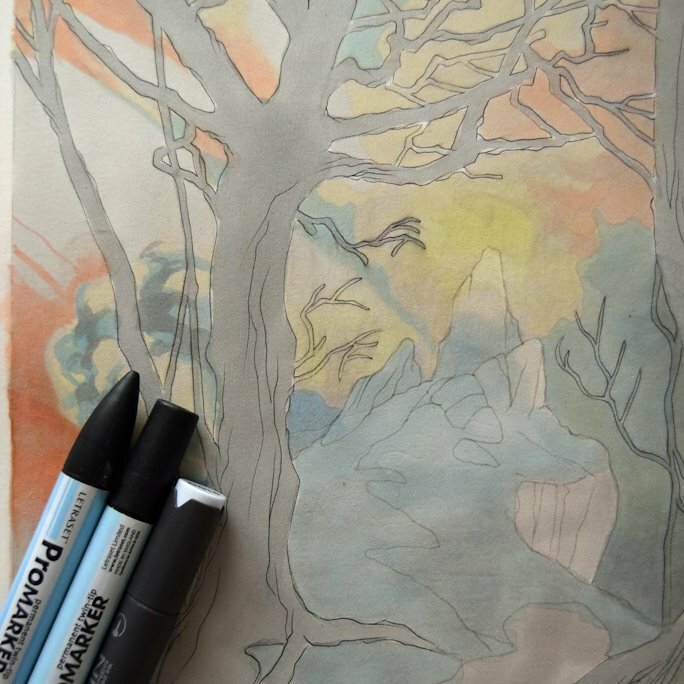 ‘Sunset’ – Ink, markers, white gouache and pastels on paper. A portrait of one of my fave OC, Lavinia. 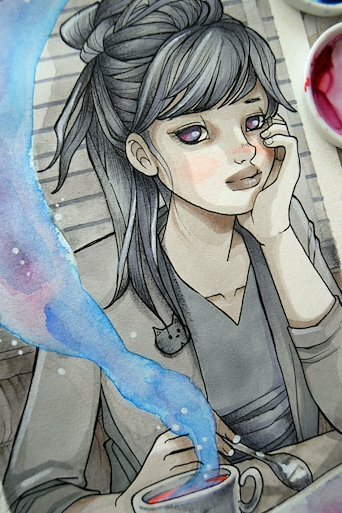 More WIP shots on Tumblr. 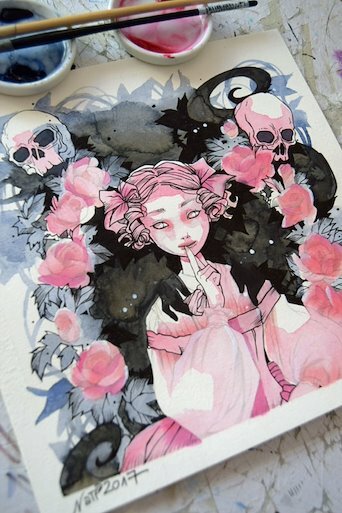 My piece for the ‘Ultimate Fantasy’ art-show at LightGreyArtLab Gallery. Opening 6/7 July. Only one famed print available at their shop. 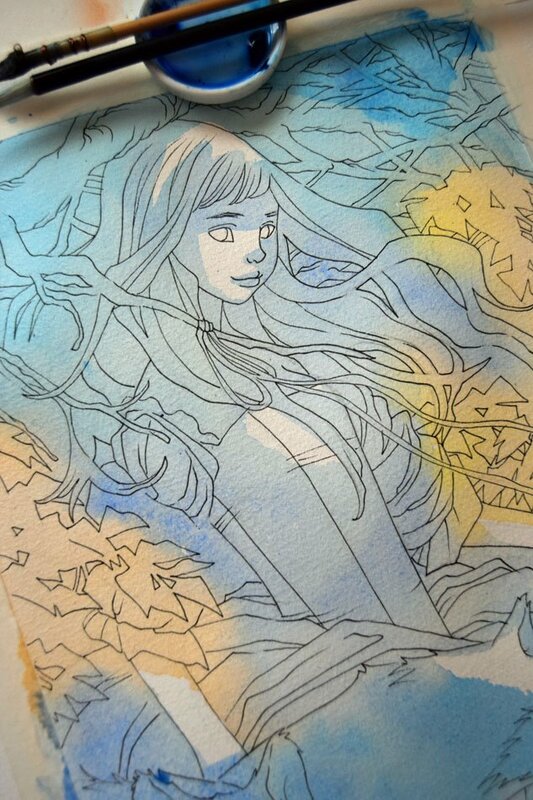 A WIP of one of the pieces I’m working on for the Enchanted Forest book. 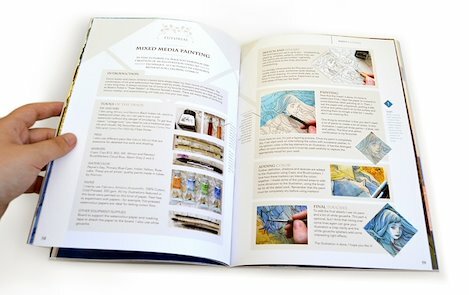 It will collect illustrations and tutorials by many amazing artists, I’m so happy I can collaborate with them on this book! 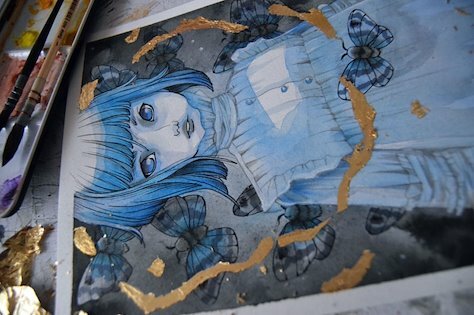 Until June 30th, I’m offering a 20% off discount on all items listed in my Etsy Shop. 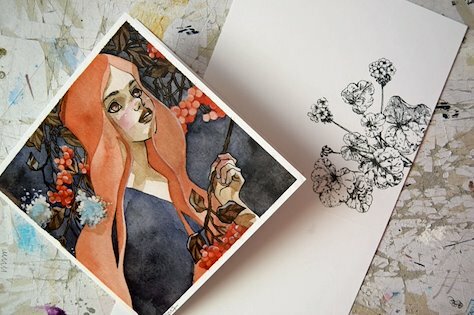 I recently received a few requests for commissioned illustrations so I’m sharing again my prices list and information on how it works. Please, keep in mind that the available slots are very limited. Follow me on Instagram to be updated about my availability. You can contact me by using the Contact Form or email me at: girlwithflaxenhair AT hotmail.com. Once I have received your message, I will email you back within 2/3 working days, letting you know what I could do and if I need other info/descriptions/references to move forward. I will then email you the first sketch for approval. 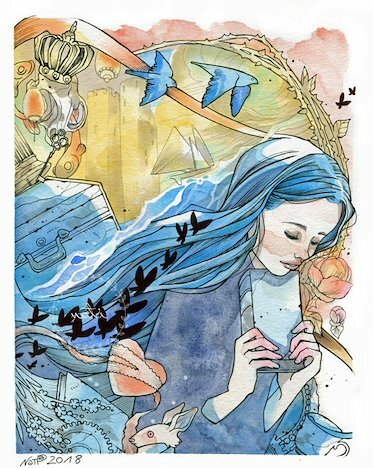 Once the sketch is approved by you, I will contact you for the painting’s final price – including handling and shipping cost. I only accept payments through Paypal. 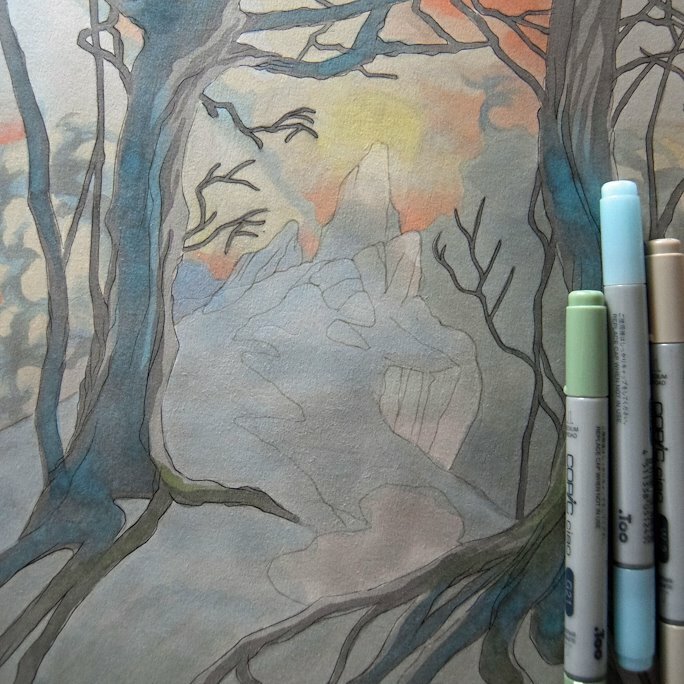 During the painting process I will email you ‘work in progress’ photos. 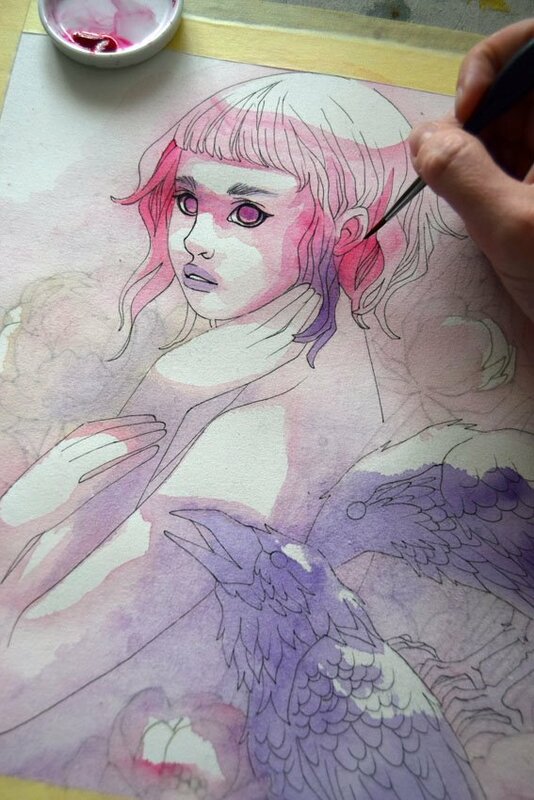 I usually post these WIP photos both on my Tumblr, Instagram and Flickr gallery. 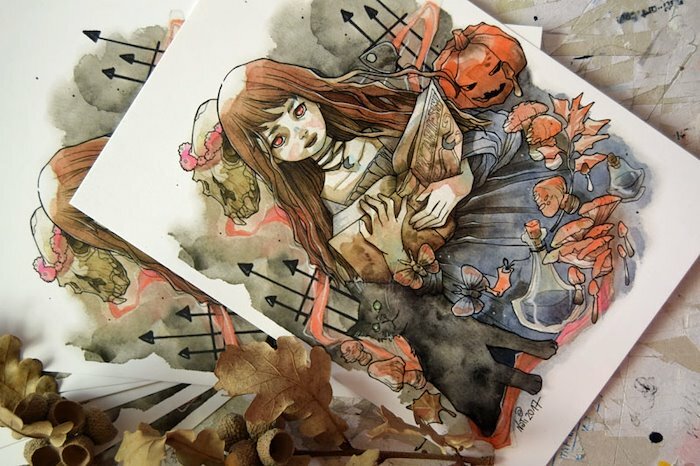 It can be requested that I do not share them – as for example if the illustration is a gift. When the painting is finished I will email you a final photo/scan. 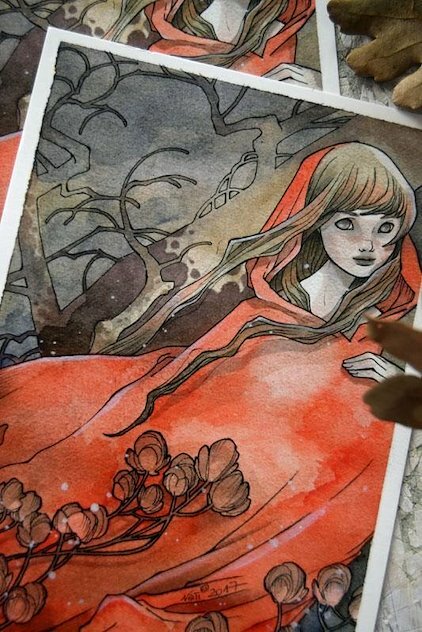 If all looks good, the piece will be packaged and shipped after final payment has been done.
. 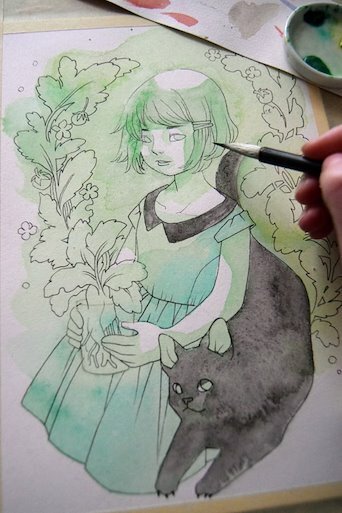 I only work with ink/watercolour or colored pencils or markers. No digital illustrations.
. I do not do fan-art.
. I do not do any realistic portraits. Each piece will have it’s own time line, depending on it’s size, complexity, and my availability. 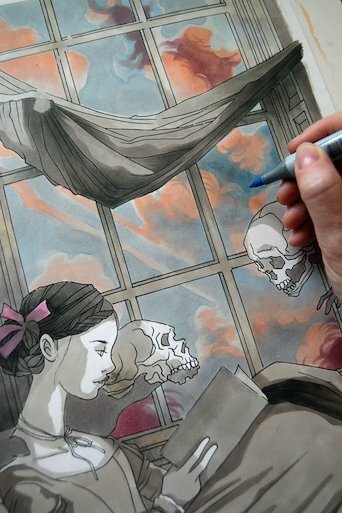 Keep in mind that most illustrations will take 2/4 weeks to complete. Sizes are in cm. Price is in USD. Handling and shipping cost not included. 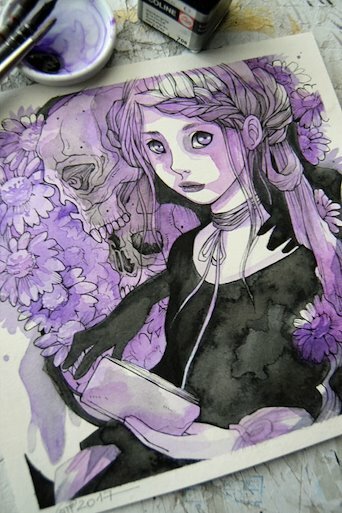 Prices vary depending on how detailed the final illustration should be – one or more characters, detailed background, technique, etc, etc. I also accept commissions to make One of a Kind Paper Dolls. For a range of paper dolls I created in the past, you can visit the gallery on Flickr. Available paper dolls are listed to Etsy. 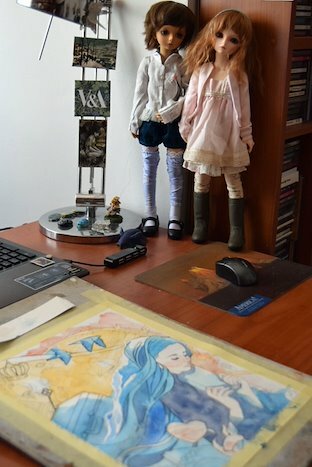 All the dolls are hand drawn and painted in watercolour, markers and colored pencils on fine, acid free, hot press, 140lb watercolor paper. They have been lovingly hand cut out and completely assembled with 4 or more mini brads. Price List of an OOAK Paper Doll (shipping not included). Black and white inked design only, some shading is fine but no color. It is up to your tattoo artist to decide on color. Please note, I do not do any realistic portraits. It would be very nice that, if you post a picture of the tattoo, that you please credit me, on tumblr, deviantart, instagram or facebook is fine. – If the tattoo artist posts a picture of the tattoo I ask for the same. Price is for high resolution file. 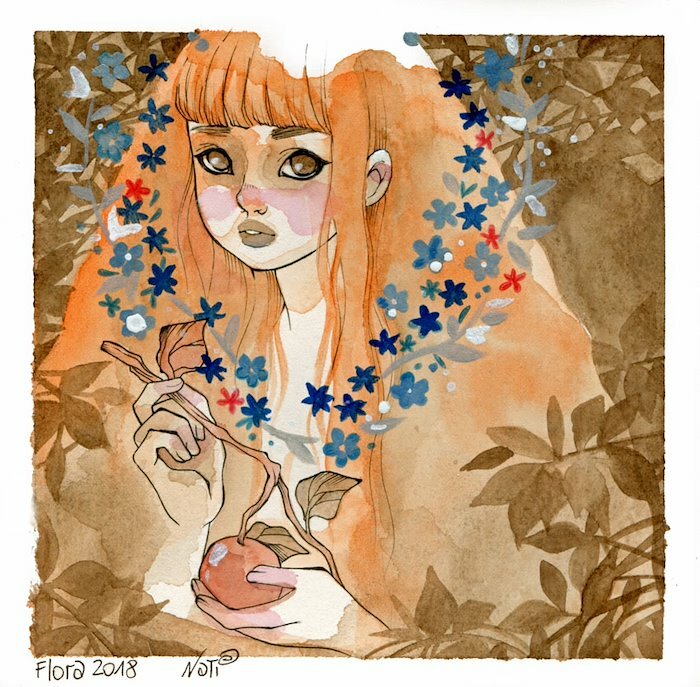 If you would like to buy the original piece, please refer to illustrations prices list. The art will be shipped in a protective plastic/paper sleeve, between two boards, and bubble wrapped. I will ship via National/International Registered Mail. The order usually takes 15/20 working DAYS to be delivered to you. Registered Mail is traced. Buyer pays for any International custom fees. I think collaboration is great! Combining your strengths with someone else’s can lead to very good results and it’s a way to introduce your work to new audience. But, collaboration is not an unpaid job. If you are a writer and would like to contact me because you think my style would be perfect for your project, please consider my available time and the energy that a project requires. I’m usually very specific about who I choose to collaborate with—it’s more about personal taste and instinct than business. So, don’t be offended if I refuse to collaborate with you. Thank you for understanding! 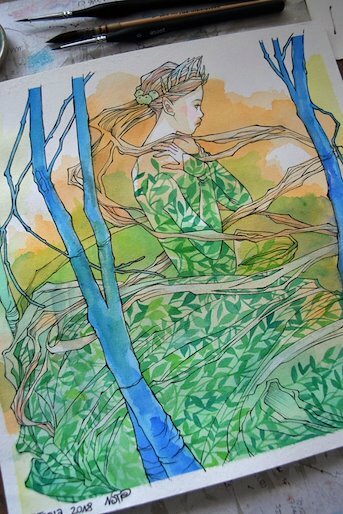 All rights to the artwork are reserved to me, Natalia Pierandrei. You are purchasing a piece of art, not the right to reproduce, alter, resell, or mass produce from it. 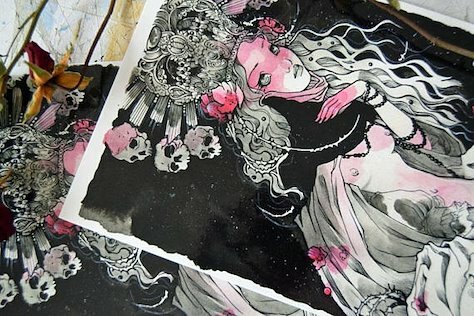 All illustrations are for sale on my Etsy shop. 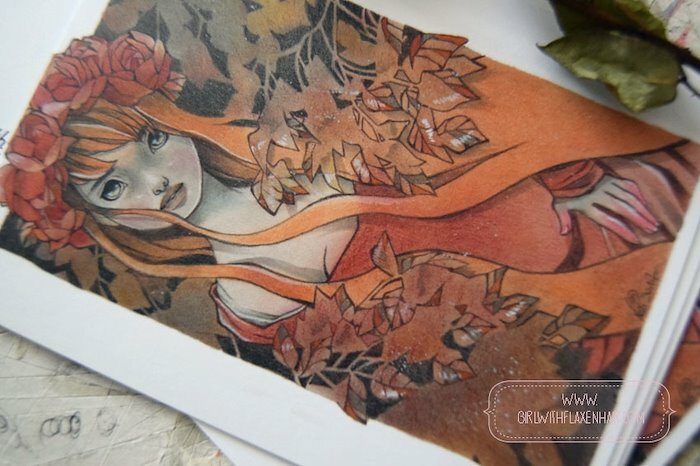 A new illustration is available on my Etsy shop! 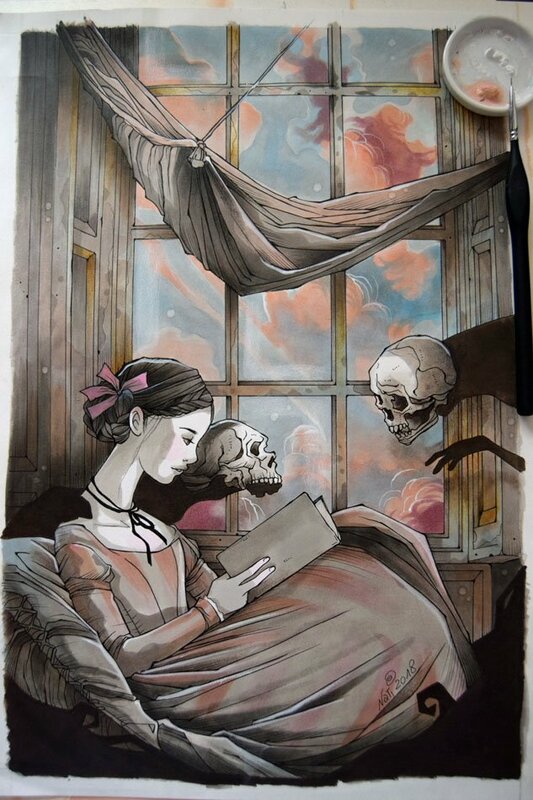 ‘The Reader’, ink and watercolor. 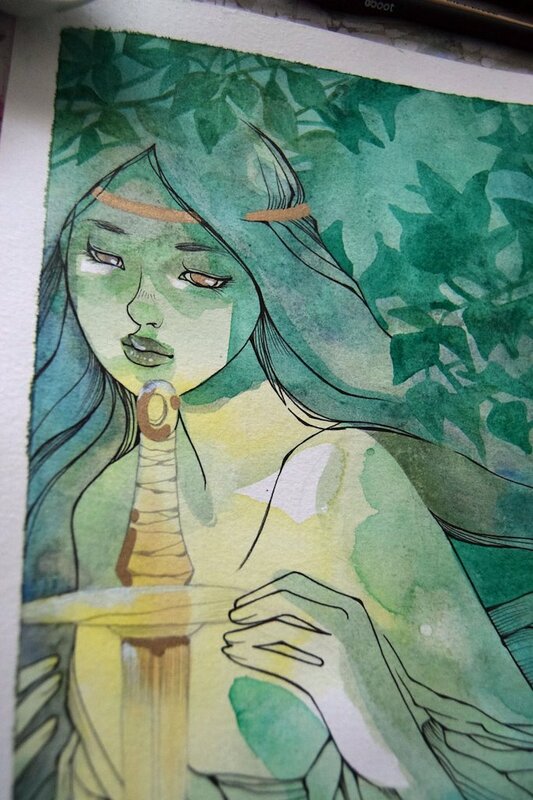 WIP shots on Tumblr and Flickr. 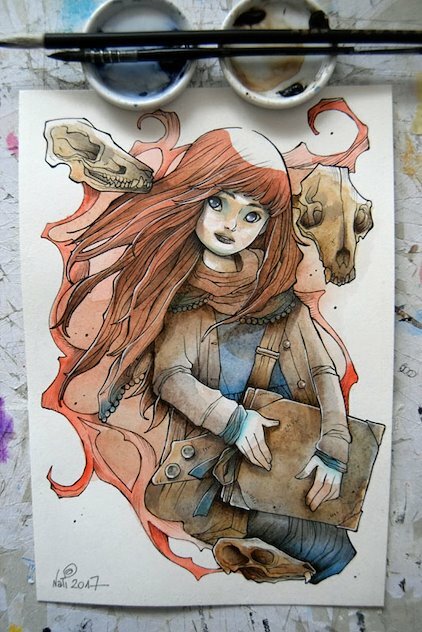 ‘Daydreamer’ – markers and watercolor on paper. Original for sale on Etsy. 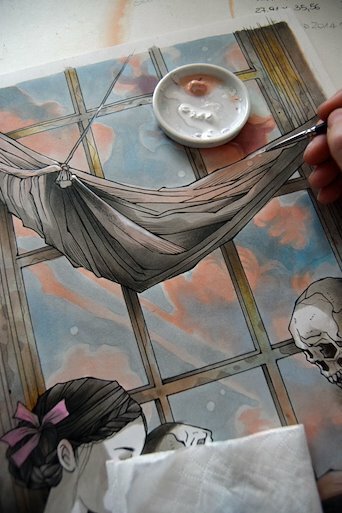 ‘New Horizons’. My last illustration of this 2017. 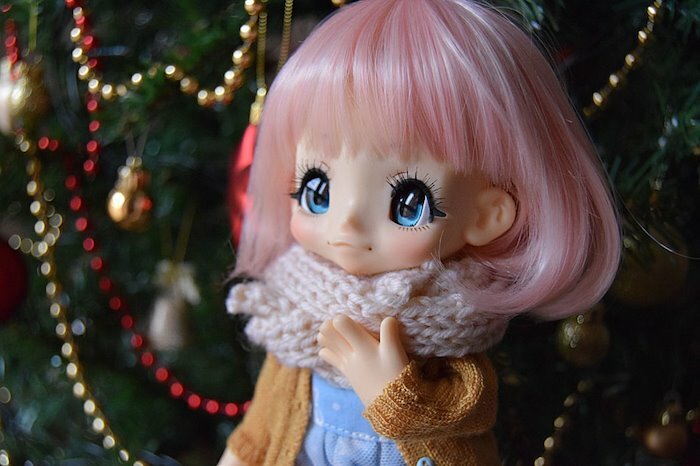 I hope you all spent a wonderful Christmas with your family and all your dearest ones! To me, the Holidays Season is that time of the year when I can relax, eat a lot and do silliness :) Of course, I also draw like crazy and here are two of the latest images I did. 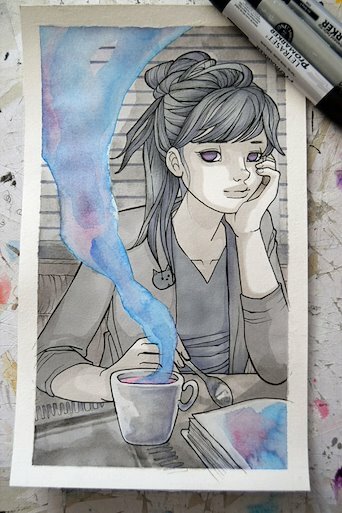 The ink+watercolor painting is a portrait of Lavinia, one of my recent OC. I love her and I love painting her! 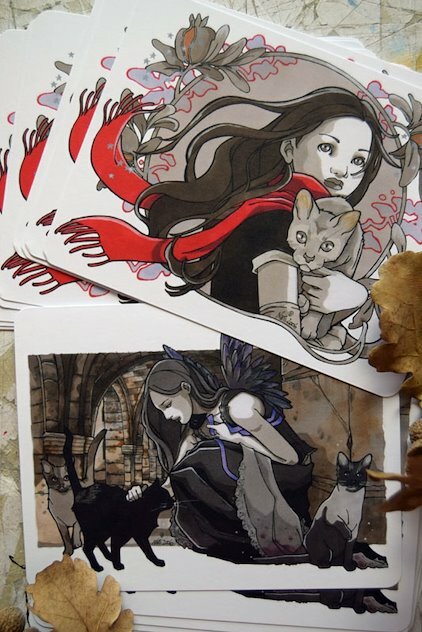 That small illustration is also fo sale on my Etsy. 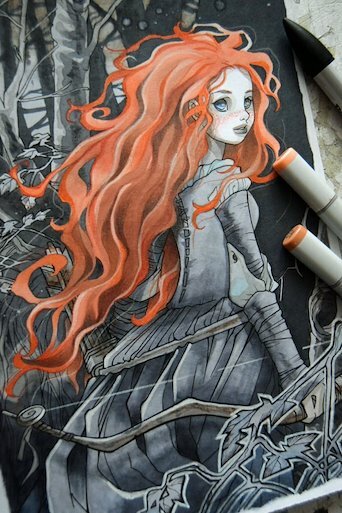 The marker illustration is a fan-art of Merida. Drawing Disney/Pixar fan-art is not actually my thing, but she’s such a great character! 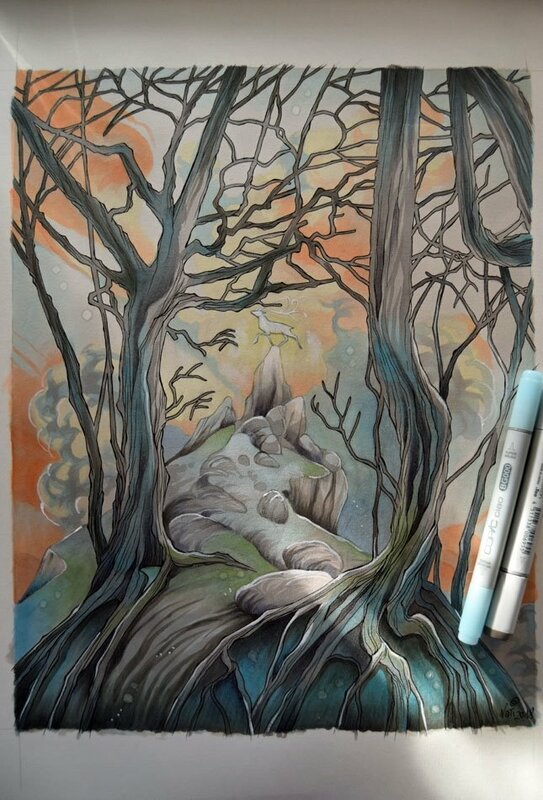 And, that drawing is also a sort of ‘return to my roots’ piece, I mean, markers and lot of grey with just a splash of color! I painted some new illustrations based on ‘Young Witch/Witchsona’ theme and Lavinia, one of my new characters – I will soon post more info and illustrations about her! Hope you like them! 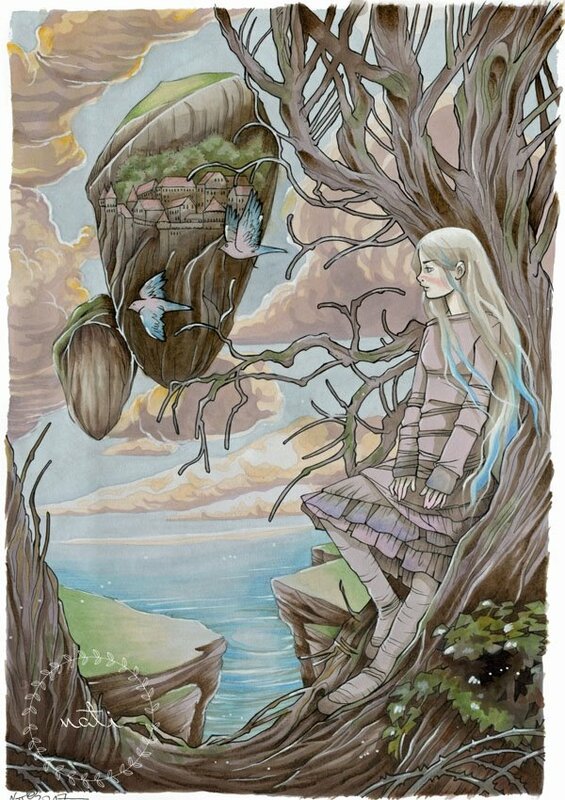 Falena (moth) – The Fox Spirits – Purple Crysanhemum – Madragora Spirit.